Industry body Subsea UK in partnership with Scottish Enterprise has announced that it has opened an R&D funding call for innovation projects to drive forward research and development projects between Scotland and Japan that will help solve the industry’s most complex technological challenges. The strategic agreement aims to help both countries capitalise on opportunities in the growing subsea sector. The two parties will provide equal funding, totalling approximately GBP 15million to support joint projects between the two countries that maximise the use and development of digital technologies and challenge conventional industry methods and techniques. The joint projects will address challenges identified by industry, capitalising on Scotland’s world renowned subsea engineering expertise to develop solutions that will push the boundaries and increase each country’s respective share of the sector – which is worth approximately GBP 50 billion annually. 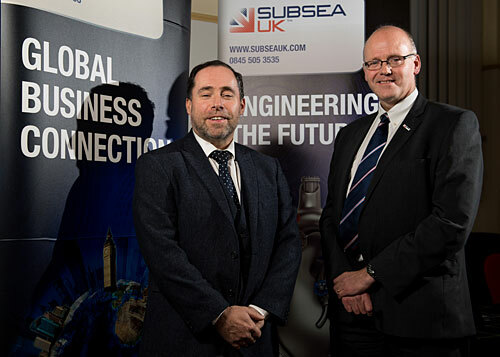 The extensive collaboration work with Japan will make a strong contribution to the delivery of the Subsea Engineering Action Plan, launched by Scottish Enterprise earlier this year, with the aim capturing an even bigger slice of the GBP 50 billion global subsea market by Scottish companies. “We have worked closely with Scottish Enterprise over the past three years to help nurture the relationship and build trust between Japan and Scotland. This has been achieved by supporting Scottish Enterprise and its international arm SDI on trade missions to Japan which included numerous high-profile meetings and presentations with key Japanese organisations including the Nippon Foundation. We are very much looking forward to strengthening these ties, working with the sector’s leading organisations to tackle the technological challenges to the benefit of the whole industry,” Gordon continues.